CONCORD, N.C. — The World of Outlaws Craftsman Sprint Car Series announced a correction of the tour’s historical records on Monday, releasing an updated all-time wins list in conjunction with the upcoming 40th anniversary of the inaugural Outlaws race. 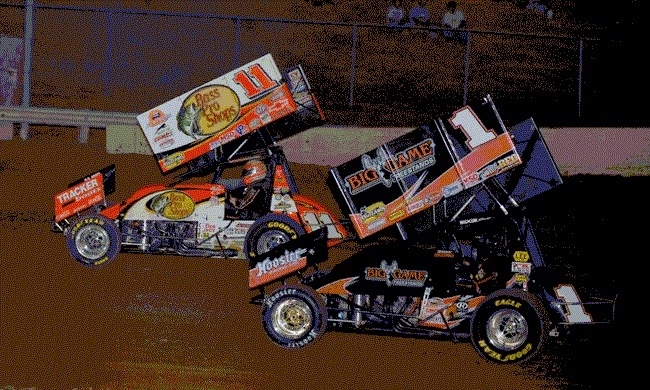 Prior to this revision, the World of Outlaws historically only counted winner of the finale race of a multiple-day event towards the official record books, with several hundreds of race wins over the course of four decades not counted as full points shows and thus, not recognizing the drivers who won those feature events. As of Monday, that gap in history has been corrected. The most notable adjustments in win totals are, as would be expected, to the top two on the all-time list — 20-time Outlaws champion Steve Kinser and three-time titlist Sammy Swindell. Kinser previously led the way with 577 career Outlaws victories, but with 113 additional race wins added to his Hall of Fame career, Kinser’s series-leading total has now risen to a whopping 690 feature wins. Meanwhile, Swindell’s career total receives a boost of an even hundred feature wins, bumping him up to 394 victories and further entrenching his hold on second-place in the all-time wins tally. Other notable moves include Danny Lasoski jumping up from seventh to sixth on the list, adding 32 victories and leapfrogging Joey Saldana, while the addition of six more wins for Saldana makes him the seventh driver in Outlaws history to accrue 100 or more series wins. As part of the revision, nine drivers were added to the Outlaws record book as official series winners, including both former NASCAR star Ken Schrader and Erin Crocker-Evernham, who won on Oct. 29, 2004 at Thunderbowl Raceway in Tulare, Calif. and is now formally recognized as the first female race winner in Outlaws history. Sunday marks 40 years since the running of the very first Outlaws points show, which was held on March 18, 1978 at Lanny Edwards’ Devil’s Bowl Speedway as part of the third-annual Spring Nationals. Jimmy Boyd went to victory lane in that race, which oddly enough marked the first and only Outlaws feature win of his career. Fans can take a look at the updated win list below, which tallies the Outlaws’ history through Jan. 1, 2018. So far during the 2018 season, Sheldon Haudenschild (two) and Aaron Reutzel (one) have already added their names to the list as first-time Outlaws winners, while nine-time and defending series champion Donny Schatz has added three more wins to his illustrious total and now sits at 264 victories, remaining third all-time.